Status: This role is open. Chic Bytes LLC is a mission-driven creative marketing agency, helping women-led companies in health and wellness devise the strategy and content they need to build an amazing online presence for growing their business. We help small businesses build a lasting relationship with their target audience through innovative and cutting-edge marketing solutions. Are you a gifted storyteller with a journalist’s mindset and a marketer’s knack for a crafty tagline? Are you looking for an exciting opportunity with a growing creative agency? Are you passionate about entrepreneurship? Do you have the self-discipline to work remotely? If so, we want to hear from you! We are currently seeking a talented Content Manager (1099 contractor role) to join our remote team. 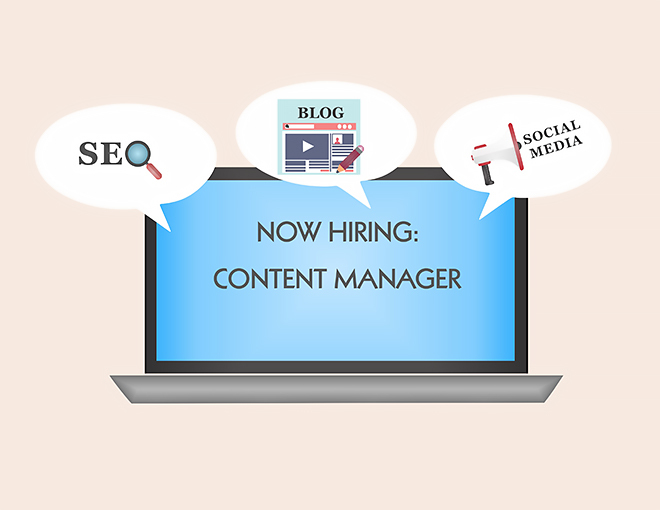 You will be responsible for developing content for websites and contributing to inbound marketing strategies for clients and Chic Bytes’ brand. This is an independent contractor position in which you will work 15 hours per week. Write and distribute e-books, whitepapers, infographics, video scripts etc. Bachelor’s degree, preferably in a writing-intensive subject, such as English, communications, philosophy, political science, or a similar field. Is this you? Here is what to do. Send us a message with your current resume and a cover letter detailing why you would make a good fit. Portfolio samples are required for consideration. Please provide a link to your website or portfolio.